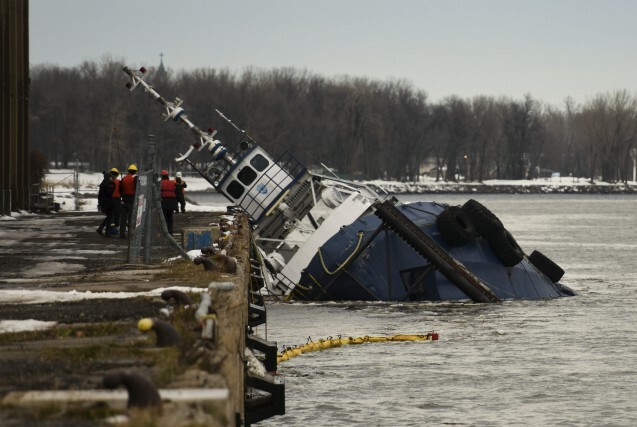 The 40 meter long tugboat Chaulk Determination sank on the St. Lawrence River at Port of Trois-Rivières, Quebec. The tug had been docked for several months before the winter lay up when a pipe burst in the engine room. The vessel quickly filled and sank at the dock. Booms were placed around the submerged vessel as diesel fuel was released into the water. Reports state the Chaulk Determination had some 22 tons of fuel on board at the time of the sinking. Authorities had alerted the tug owners multiple times that the vessel’s condition required attention before the incident. No reports of injuries. 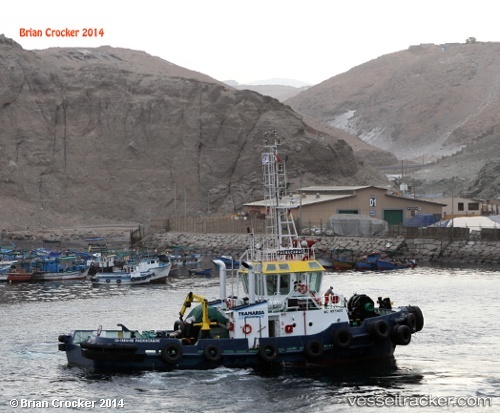 The 26 meter long tugboat Pachacámac capsized and sank off Mollendo, Peru. The tug had struck an underwater rock off the beach Catarindo and capsized. Many local swimmers were first to the scene and rescued two of the three crew on board. Divers were requested to search for the missing third crewman. Authorities placed booms around the sunken tug to contain any fuel released. Owners of the tug later started to remove fuel off the vessel to avoid impacting the local beach.